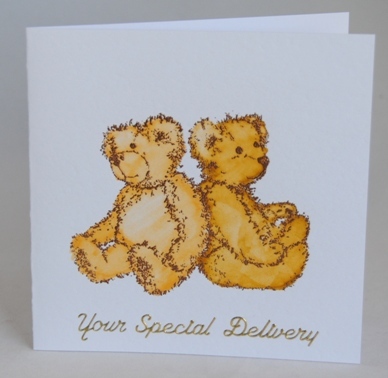 This new babies card features two teddy bears – hand stamped in copper ink and then hand painted. The greeting reads Your special delivery and is a lovely card to welcome new twins into the world. The card is blank inside for your own special welcome message. If ordering by phone, please reference card #662.